As Creative Commons Restructures Globally, What Should its Future in India Look Like? There is largely a lack of consciousness around copyright and many have not yet felt the need for a copyright alternative in India. While many see the practice of copyright as a device to protect intellectual property, there are others who seek alternatives that liberate knowledge without damaging a creator’s bread-and-butter. To a non-lawyer like myself, creative work of any kind – poetry, fiction, a documentary that I made, or even a photograph – look precious and worth protecting from anyone to steal and misuse. But in reality, what goes on the internet, stays on the internet – in hundreds of places as mirror copies. 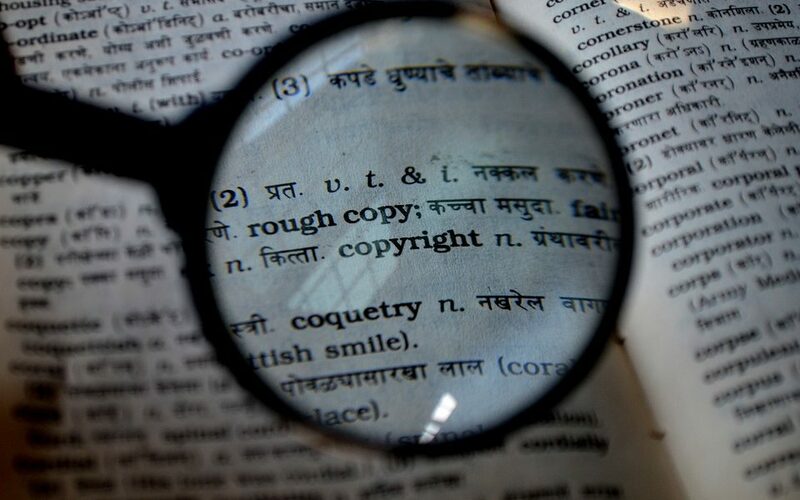 Copyright laws are so complex and it is so difficult for a common creative producer to protect their work from being misused, the basic purpose of sharing knowledge is often lost in the pursuit of protection. Creative commons licenses have for years lead a path towards the latter. As it re-energises itself globally, by reaching out to the larger community, it is also reshaping in India. Copyright formally came to India through the British empire and got formalised in The Copyright Act, 1957 which is simplified in a handbook. In simple terms, any creative work – like literary, dramatic, musical and artistic works – that involves a noteworthy creative process is by default copyrighted by the original author. The work, however, is owned by the employer when an employee creates something as part of their job or contract. Copyright is transferred when the author (author is a broad term used for the creator of the work) explicitly transfers the rights. So, when someone writes a poetry or a story or a blog, or clicks a picture, or paints a painting, they own the copyright of the work as long as the work is not merely an adaptation or translation. A work when published is generally copyrighted by default and it is prohibited from sharing. So, a blog or a social media post or a picture posted anywhere can be considered as copyrighted content and one would need the copyright holder’s permission to use it. The good news is, the use of some of the copyrighted content for personal, academic and some non-commercial purposes is allowed which can be clubbed under fair dealing. However, these are not enough. Lifting an image from Google search and using it in a commercial site is illegal. Public-funded works that are published in public portals such as the government websites are mostly copyrighted. Looking at the Wikipedia articles about many things Indian can give a sense that there are way too few images in articles related to India as Wikipedia does not allow use of anything that is copyrighted. Copyright in itself is a major hindrance in knowledge sharing. Many who faced such issues started to think what could be a better alternative back in 2001, and Creative Commons was born. There are a group of licenses which are most popular as CC licenses and allow people to reuse, remix and adapt original works while the original author is generally attributed. CC licenses are quite flexible – the CC-BY-ND-NC is as protective as copyright except for a little bit of openness in it whereas CC0 license is close to public domain and is very open – and provides a range of protections to authors depending on what they need. Just like not every single picture of a photographer is saleable, not every work of every author needs the strictest copyright restriction (i.e. all rights reserved). Though several organisations, portals and individuals from India have been releasing their works online under CC licenses. One significant breakthrough happened because of the effort of CC-India in 2013 when the Indian government released the National Repository of Open Educational Resources (NROER) project by releasing text, images, audio, video and other interactive media under a CC-BY-SA 3.0 license – which allows users to use, remix and redistribute content from NCERT. In fact, there is also an India-specific CC-BY license that is available for Indian users. That said, there is largely a lack of consciousness around copyright and many have not yet felt the need for a copyright alternative in India. Over the last four year, I’ve met thousands of students for my work at the Centre for Internet and Society who were, for example, eager to add pictures to Wikipedia articles by lifting them from Google search. This happens because many confuse “publicly available image” with “public domain”. While the former could be strictly copyrighted or openly licensed (under a CC license or so), the latter is a legal term for any work with its copyright lapsed. Apart from Indian law schools, other academic institutions in the country do not focus much on CC licenses. In fact, intellectual property rights discussion in academia is often more focused on making access to knowledge stricter rather than making students conscious of the fact that a developing nation like India needs open access to knowledge more than others. This is particularly unfortunate in a country like India, where the majority of government content is copyrighted. There a number of honourable exceptions to this of course. The ‘open access’ movement in India deserves a noteworthy mention and some of the Odisha government’s portals and social media accounts were relicensed to CC licenses because of the effort of Odia Wikimedian’s User Group, the Centre for Internet and Society, and the Wikimedia Foundation. On the day of Public Domain Day, a worldwide annual advocacy event to promote Public Domain, on January 1, 2018, Surendra Kumar, the principal secretary to the Odisha government directed for releasing the content of Odisha government portals and social media under a Creative Commons Attribution 4.0 International (CC-BY 4.0) license. Over a dozen websites and verified social media accounts including the chief minister’s social media accounts are enriching Wikipedia articles with images of noted people and events that are otherwise owned by the government and shared on different platforms. But, on the whole, more work is needed to be done across state governments and the Centre. Not everything that our public institutions do needs to be kept secret or locked behind a paywall. In reality, a large part of the work that public institutions – except some in the defence sector – do are funded from public money and deserves to be accessible to the public openly. Relicensing the NCERT content under CC licenses under the NROER project in 2013 was only a drop in the ocean. For instance, there lies stacks of valuable journals and text, multimedia produced by government departments like Prasar Bharti and Air India that can see the light of the day by a small move towards openness – by releasing the content under an appropriate Creative Commons license. Earlier this year, there was a decision to bring a new structure across all CC communities worldwide through the Creative Commons Global Network (CCGN) to make them more active locally. Individual and organisations who are already active in promoting the CC licenses can join to become CCGN members and reform the chapter in their country. In India, there are only a handful of individuals who are part of the CCGN. It needs more diverse contribution, which is why this is a great opportunity for individuals and organisations to get involved, and take action by releasing at least part of their work under a CC license. For instance, an individual/institutions can release photographs, video/audio files or any such creative work that they feel would be of use to the larger world under a CC license just by uploading them to a platform like Wikimedia Commons and sending a relicense email. Many of our existing volunteers are gathering in Bengaluru and Delhi on September 1 – and even online – to discuss the future of Creative Commons in India. These events are open to all upon registration. Joining this meeting can be a starting point in furthering our community. But being part of the CC-India chapter by signing up on the Creative Commons Global Network remains open to everyone who really wants to change the way knowledge has been distributed and restricted. Subhashish Panigrahi is a Bangalore-based community manager, language archivist, and documentary filmmaker with a decade-long work across many open knowledge/Internet initiatives including organizations like Internet Society, National Geographic, Mozilla, Wikimedia Foundation, and the Centre for Internet and Society. Follow him on Twitter at @subhapa.